Winter is coming: ensure your business is prepared. In Colorado, winter can come quickly. We all know that. Around these parts, it might not seem like that big of a deal. Ice and snow is part of life. However, not being prepared for this weather can have an impact on both the health and safety of your employees. And that's true even in an office setting. Winterizing your office is a practical way to reduce workplace injuries as well as save time and money on maintenance and repairs, all good things for your bottom line. Winter is coming, here's how to make sure you're prepared. First things first, consider your workplace. Your area might have more mild weather with less snow in the winter which requires different needs from heavy snowfall areas. Knowing your own situation can help you make a plan for what you need. As part of your assessment plan, understand where potential hazards might lie. Know if your parking lot is easy to navigate through snow removal. 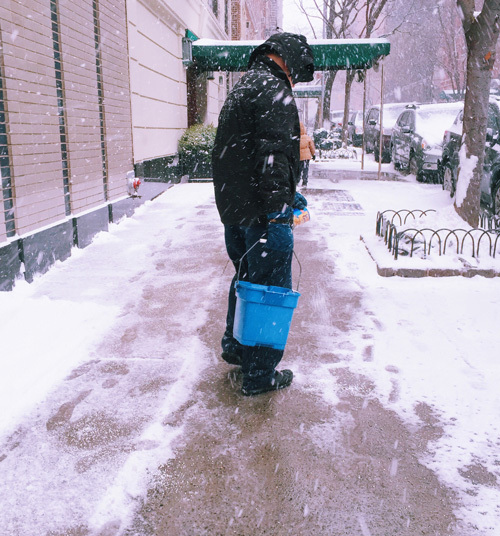 Check your supplies when it comes to ice melt or salt and if you hire out these sorts of services get confirmation before the first flakes fall. Also as part of your preparedness plan, make sure people are clear on who is in charge of specific tasks. Don't wait until it's too late! Make sure you let employees know your plans when it comes to winter weather. Sometimes, the roads are too dangerous to drive. Know what type of alert system you'll have for employees to get updates and when they get posted. An easy place to start is having a 'winter weather' email list with a canned message ready to go so it gets sent right away. Don't forget to assign this task (or keep it on your own to-do list). Also, in situations like these letting your employees work remotely from their home offices can reduce risk without losing any productivity for the day. If you have employees that spend any time out of the office during winter weather give them the information they need to perform their jobs safely. If they work outdoors, schedule ample time for indoor breaks so they can warm up or provide heaters, for example. Also, make sure your employees know which tools, workspaces or machines might be more dangerous in the winter. Add in extra layers of protection that safeguard employees from potential equipment hazards. The Occupational Safety and Health Organization (OSHA) has a good basic checklist you can use as a guide for winter preparedness for employees. Slips and falls are some of the most common workplace injuries. So why risk more of these during the winter? There are simple things you can do to cut down on accidents. As part of your hazard plan, know which walkways, sidewalks and concrete areas will need extra attention during the winter months. Set up mats in the doorways and hallways that see the most outside traffic. As part of an annual maintenance regiment, your business should take a look at all your major heating, air and ventilation systems. The last thing you want in the middle of winter is to have the heating system break that's both expensive and can create a poor working environment for your employees. It doesn't take much time to have the peace of mind that your building and systems are in good shape before the winter arrives. During the winter months, Colorado has specific driving laws that apply to commercial and passenger vehicles. If you use vehicles as part of your business pay attention to these laws and make sure you have the right equipment on hand to comply and not face any fines. It doesn't take much to ensure your office is ready for winter. And just putting in a little bit of planning up front can end up saving you time and possibly thousands of dollars over the long run. Serious workplace injuries can put a significant financial strain on your business so you want to protect yourself and your employees where you can. This is where Cake can help. We have all the information you need to you comply with Colorado workers' comp requirements. Start a quote, and we can get you a workers' comp policy in less than five minutes.